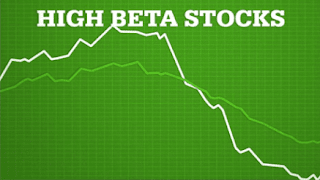 Money Market Tips: STOCK MARKET--What are high beta stocks? STOCK MARKET--What are high beta stocks? If you would like to know what are the list of Nifty High beta stocks, there is a link in NSE web site which publishes this information. Nifty has a separate index for it called as NIFTY High Beta 50 Index, it is a well-diversified 50 stock index. 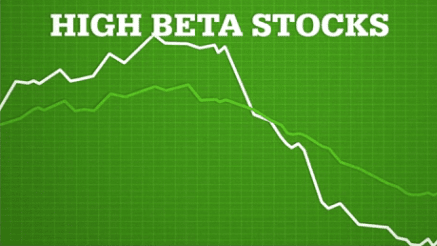 Beta can be referred to as a measure of the sensitivity of stock returns to market returns. In order to make the 50 stock index investible and replicable, criteria's such as turnover and market capitalization are applied while selection of securities. NIFTY High Beta 50 Index can be used for a variety of purposes such as benchmarking fund portfolios, launching of index funds, ETFs and structured products. Index Re-Balancing: The index review is carried out using data of six month period ending last trading day of February, May, August and November respectively.